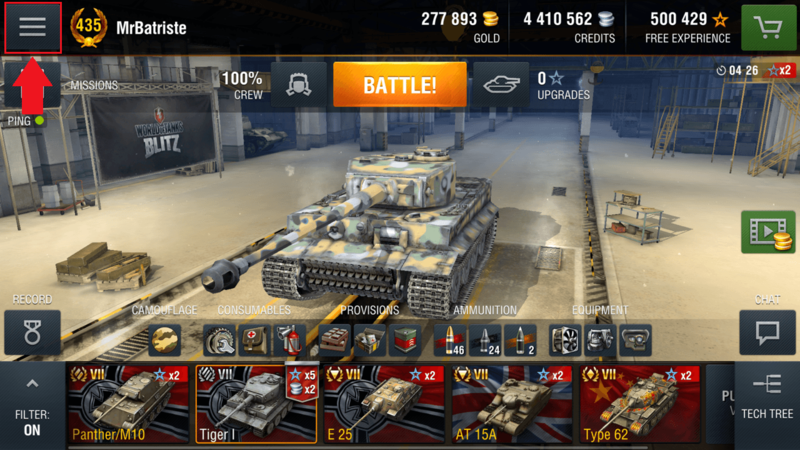 Update 3.2 brings all World of Tanks Blitz players to the same Battle queue. No matter your device, you can face and battle each other. 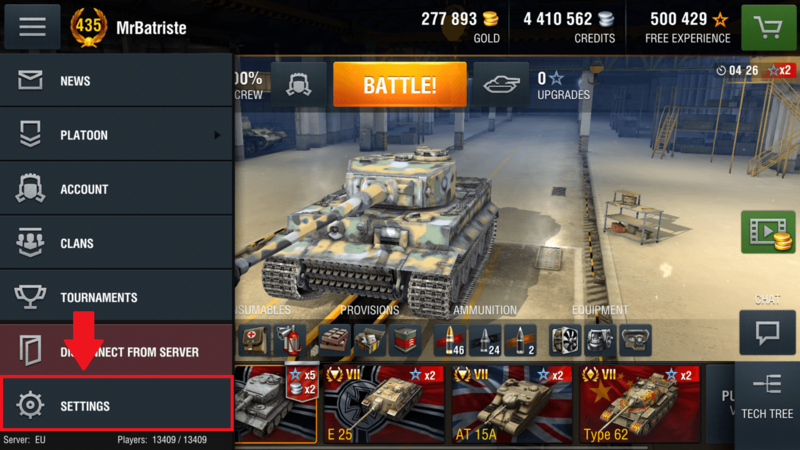 This system lowers the Queue waiting time to get into a battle, across all devices. 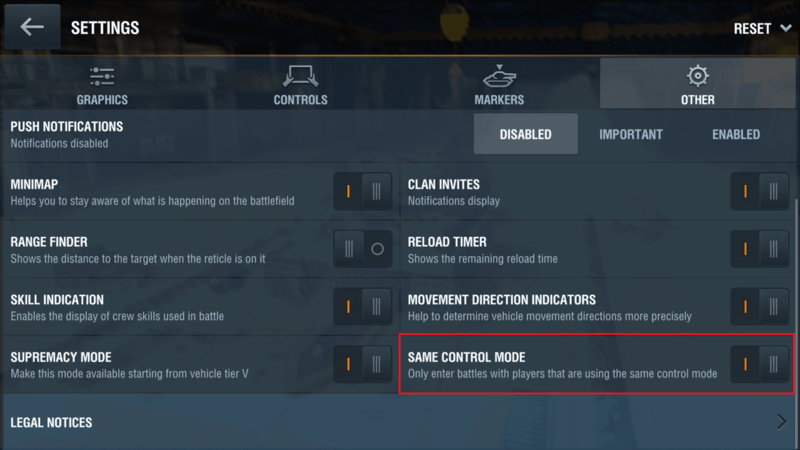 However, should you feel strongly against this new feature, you can enable Same Control Mode. Click on Other and scroll down. By default, you will see Same Control Mode as disabled. 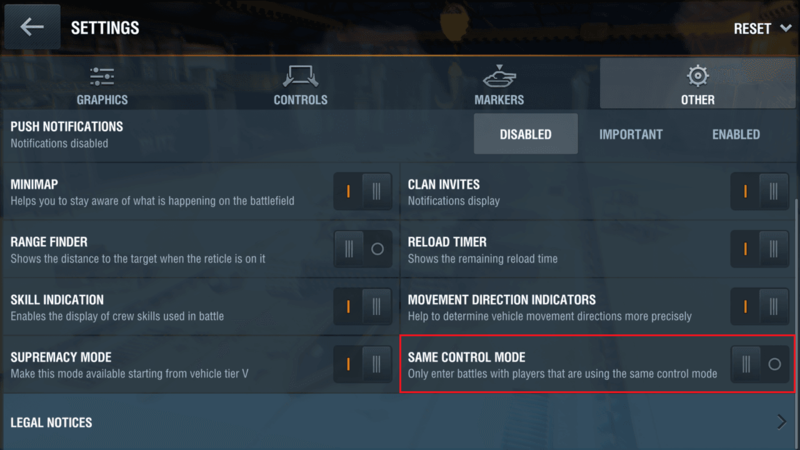 By activating Same Control Mode, you may see an increase in waiting time to get into a battle.